Mobile cricket covers are an especially useful tool for the cricket ground. The fundamental challenge for the cricket groundsman is to keep the pitch dry - and the grass plant alive. Use of a roller alone can only get the surface to a certain level of hardness, and from then on the surface only becomes harder through drying. 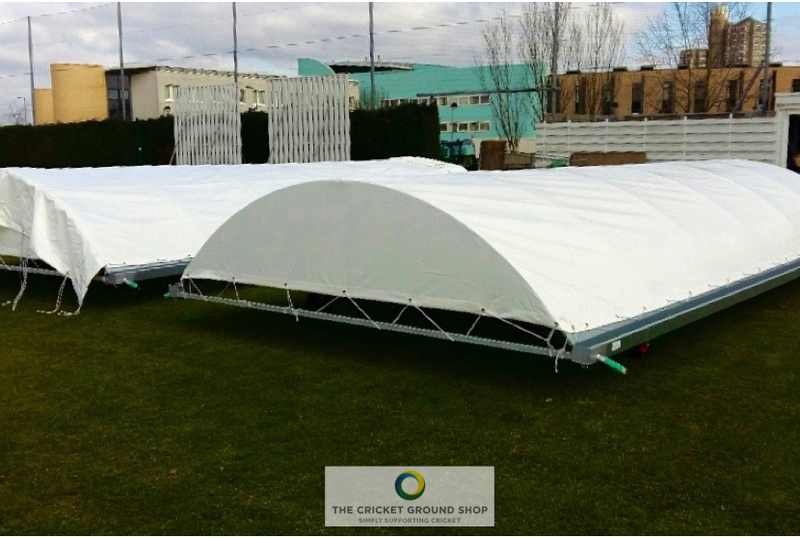 With the added factor of the unpredictable British climate, cricket covers are a key part of the management of cricket pitches, and there are a host of different cricket covers for sale on the market – including flat ground sheets and mobile cricket covers. 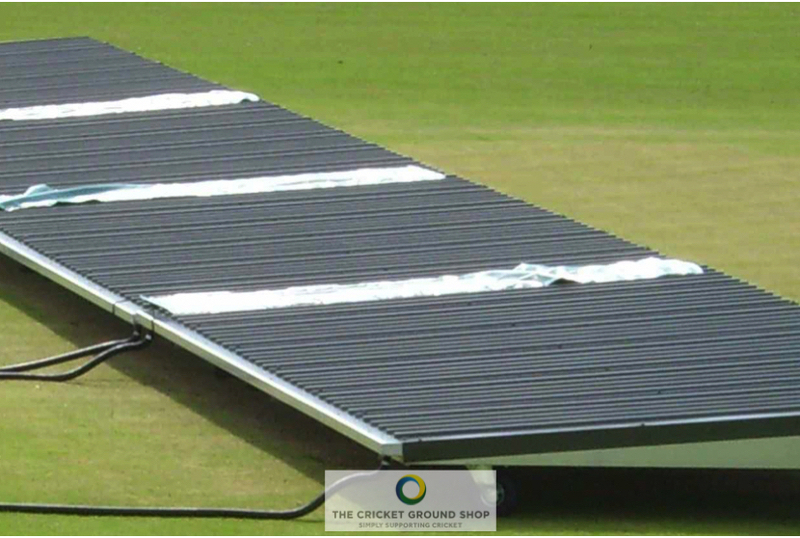 One of the main benefits of mobile cricket covers is their manoeuvrability – often on wheels, they can be relatively easily moved across the ground when needed. With the introduction of modern, lightweight materials in their construction this has become easier over the years, as older mobile cricket covers could still be quite heavy. This manoeuvrability makes them useful both for use keeping the pitch dry when rain interrupts play and in preparation of the pitch in the days before a match. Unlike many conventional flat sheet ground covers, they are raised above the surface of the grass thus allowing air to circulate and the grass plant to breathe – enabling them to be left in place for longer periods then non-breathable models of flat sheet cover. However, this design feature can also mean that mobile cricket covers are not as effective on pitches where the land slopes toward the wicket or there are any uneven levels – while the cover prevents water falling directly onto the surface, they don’t stop it running down onto the surface from the surrounding area. For this reason, it is important to consider the geography of a club’s cricket ground when selecting the most effective form of cricket cover. One way of overcoming this issue is to use mobile cricket covers in conjunction with flat sheet cricket pitch covers, as part of a ‘system’. By alternating the different type of cover, you can help to control how the pitch dries out through evaporation, transpiration and drainage. When combined with an effective rolling programme this results in a surface that gives the desired hardness – and, in turn, performance. While many may remember the old-style wood and canvas mobile cricket pitch covers, most modern designs are lighter constructed from aluminium combined with hi-tech waterproof fabrics. 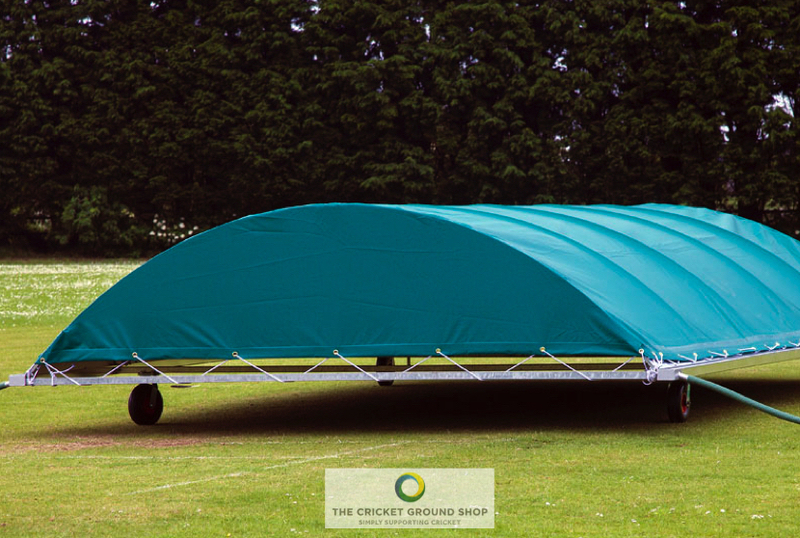 There are many different styles of mobile cricket covers on the market to suit various needs and budgets - some are flat, some domed and some feature apex ‘roofs’. 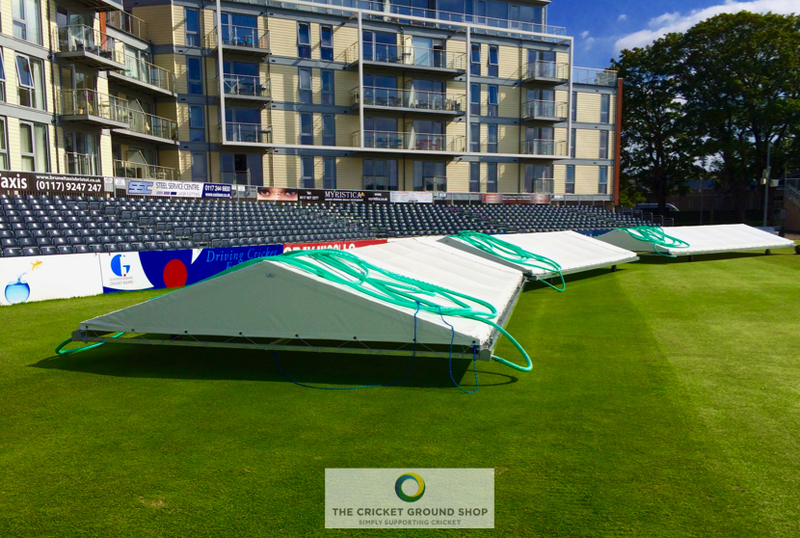 The Cricket Ground Shop has developed an extensive range of mobile cricket pitch covers; offering quality, affordability and value for money across a product range to suit club through to county. The range includes both PVC and steel-topped options, and with both dome and apex styles on offer. The popular ‘PVC Dome’ mobile cricket pitch cover design includes three levels of specification - Dome, Dome HD and Pro Dome. 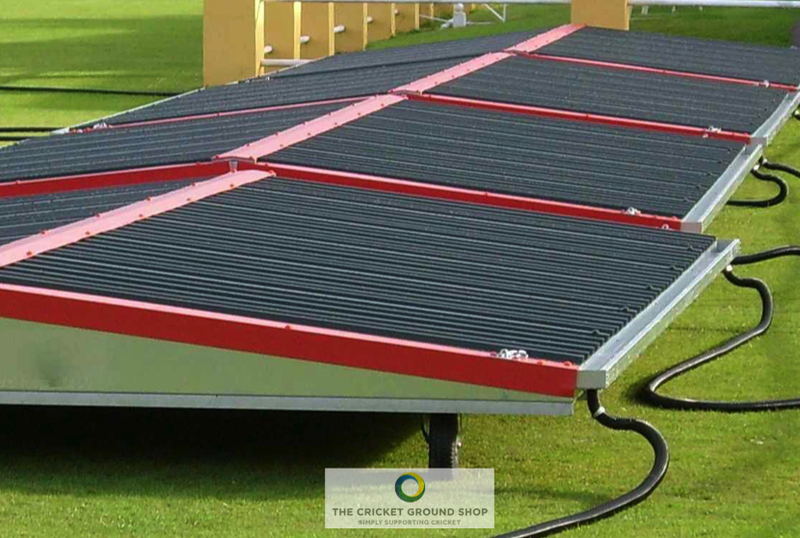 Meanwhile, the ‘PVC Apex’ mobile cricket pitch cover design features a unique “double span” main support structure. This is incredibly strong whilst maintaining a low, manoeuvrable profile. Finally, the Steel-Topped mobile cricket pitch covers - ‘Tuff-Cover Apex’ and ‘Tuff-Cover Single Slope’ - offer increased protection for sites prone to intentional misuse. For advice on the type of cricket cover that would best suit the needs and budget of your club, please call 01604 864 575 or email info@total-play.co.uk.